My mission is to provide high quality medical care in a very personalized manner to each of my patients. I will strive to better my knowledge of medicine each day in order to continue to deliver the elite level of care that is expected of me from my patients. I also have a special interest in management of DMII and thyroid disorders, as well as HTN. I started my medical career in 1988 and worked as a Clinical Pharmacist for one year at Mobile Infirmary in Mobile, AL. I had previously decided to become a physician while in Pharmacy School at Auburn University, so after a year of working as a Clinical Pharmacist, I reentered the world of academia at The University of Alabama School of Medicine (UASOM) at Birmingham, AL. I graduated from there in 1993, and then completed my residency in Family Medicine though the UASOM at there Huntsville Hospital campus. Following completion of residency I relocated back to Middle Tennessee and I have been in practice in the Spring Hill / Thompson Station area for the last 20 years. 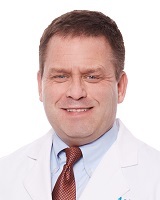 I was in Family Health Group for nearly 18 years in Spring Hill, TN and greatly enjoyed the relationships I developed with patients and families by having the privilege to serve as their family physician. However during this rapidly evolving health care environment we all live in, I made the decision to move to Williamson Medical Group in late 2014, and have been there since. I now have made the decision to join Saint Thomas Medical Partners and look forward to playing a part in developing this medical office into a state of the art, full comprehensive care family medical complex. I look forward to this new partnership with Saint Thomas Medical Partners, and I encourage my established patients, as well as any new patients, to please come and establish with us to experience nothing but the highest quality health care. 1988 "Outstanding College Students of America"
1987 "Student of the Year, Auburn Univ. School of Pharmacy"